Earlier this month, to celebrate Star Wars Day (“May the 4th be with you!”), we rounded up 37 amazing facts about the Star Wars saga. But being that today marks the 35th anniversary of The Empire Strikes Back’s premiere, we couldn’t let the day pass without shining a little extra saber-provided light on the Oscar-winning second entry in the original trilogy. So here are 10 more fascinating facts about one of the most frequently misquoted films in the history of cinema. 1. THE “BIG REVEAL” MAY NOT HAVE BEEN SUCH A SECRET AFTER ALL. 2. 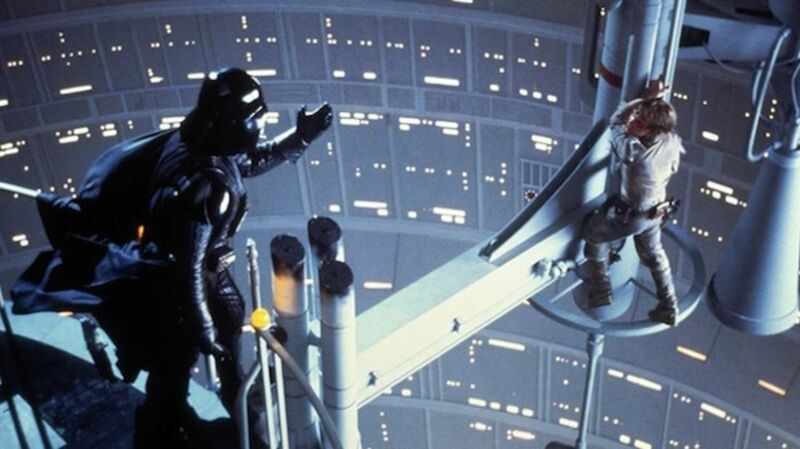 DAVID PROWSE SPILLED THE BEANS ON LUKE’S CONNECTION TO VADER IN 1978. 3. ITS MOST MEMORABLE LINE IS ALSO ITS MOST MISQUOTED. 4. MONTY PYTHON AND THE ROLLING STONES MADE HAN AND LEIA SMILE. 6. FRANK OZ RECALLS THE STORY DIFFERENTLY. 7. CLIFF CLAVIN IS IN IT. 8. THE EMPEROR USED TO BE A CHIMP. 9. THE FILM MARKED THE END OF GARY KURTZ AND GEORGE LUCAS’ PARTNERSHIP. 10. HAMILL WASN’T A FAN OF SOME OF LUCAS’ TINKERS.